Last spring I was well on the way to a great year of kayaking. I set out at least once a week for a good 25 km paddle leading up to one epic day circumnavigating my home island of Salt Spring. (I am aiming to beat my best time this spring). I was feeling better and better with each paddle stroke until I made the grand mistake of bagging a full time job and within a couple of weeks I was side-lined with numbness and pain in both my forearms and wrists. With years of paddling I had not succumbed to the kayaker’s complaint of tendonitis, it took an 8-hour shift five days a week doing something repetitive and apparently stressful that caused such an extreme flare-up. I was gobsmacked by this turn of events as I have worked with my hands all my life and this was the first time it had become an issue. Coupled with being staggeringly pooped at the end of the day the idea of getting out on the water in the evenings, or on the weekends was a struggle of time and pain management. Reluctantly, I hung up the paddle for the season and tended to earning a few bucks while dealing with a certain amount of chronic pain. The result being that too much time on land has made me crazy. Not this year! I am off work for the winter and looking for something less taxing on the old joints than the old job. Options open I am spending the time reacquainting myself with my lovely wooden kayak, which currently resides in the workshop while getting a fresh new look. I am also looking into exercises to use for kayaking now that the specter of tendonitis and Carpel Tunnel Syndrome CTS are looming over my head. I accept that this will alter my paddling, then again, maybe not. I feel the arms healing already and eager to get back in the seat of my kayak. But, a new regime of preparation and daily stretching is in order to help prevent or at least dull the lingering affects. While investigating various ways of easing the pain and suffering I may now achieve with each paddle stroke I found this short but informative video on youtube. Very simple exercises to add to my regular paddling stretching before and after a day on the water. I thought I would share this as I know there are paddlers out there popping anti inflammatory tablets as I speak. Salt Spring Island is a paddling Mecca with world-class scenic views and ample opportunity to witness marine life and birds. I have lived here most of my life and I can say, the kayaking is good! My backyard waters are always a pleasure to paddle at anytime of year, and the islands that surround Salt Spring are just a short hop away. One of the closest is Wallace Island. 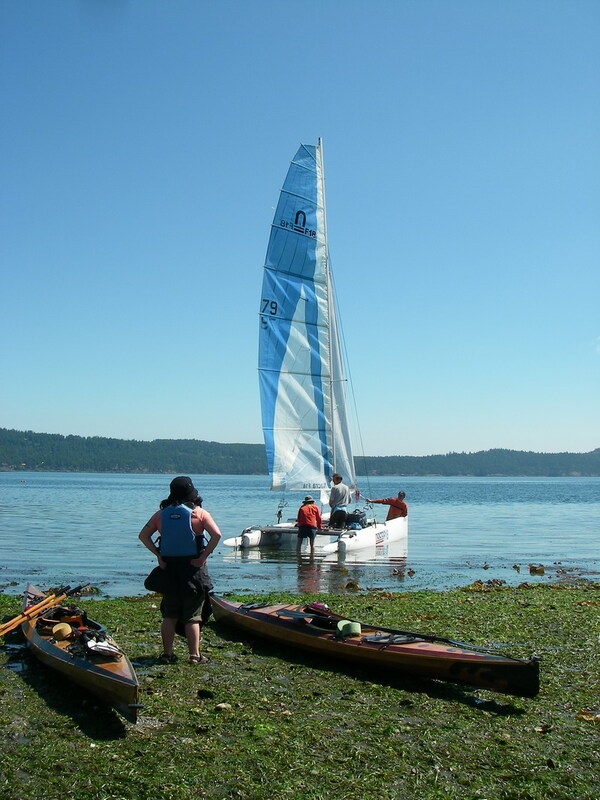 It is located in Trincomali Channel, which is the body of water separating Salt Spring Island and Galiano Island and is a hot location for boaters as well as paddlers. The crossing from Salt Spring is usually calm unless the wind is up and then the channel can get, ‘bumpy’. For the most part, this is a fine paddle for novice kayakers as the distance to Wallace is short from Hudson Point just north of Fernwood Dock, or from a second launch site at Southey Point which is at the northern tip of Salt Spring. These two launch points offer different approaches to Wallace. Leaving from Hudson Point, a public boat ramp on North Beach Rd. just north of Fernwood allows a mid to low tide access to enough shell beach to easily unload and load kayaks and gear. Parking is limited as it is a popular put-in for sports fishers as well. Leaving from this beach head straight across to Wallace and you will see a red buoy to your left as a good landmark. For those sporting a deck compass it is virtually a north/south crossing. Once at Wallace’s shores take your pick of back or front sides, but on those sunny days there is no question as to which side to travel. Leaving from Southey Point offers a different paddling experience as you will pass Jackscrew Island first so keep an eye out for totem poles. Also you will be watched by seals, and you thought you were the one watching them. As always with encountering wildlife please remember they live there. As tempting as it might be to get a closer look, try to steer a wide berth from sunbathing seals. They are skittish and will dive back into the water. Think how you would like a cold bucket of water tossed on you if you were sunbathing. In about 40 minutes you will arrive at Chivers Point and the camping area. 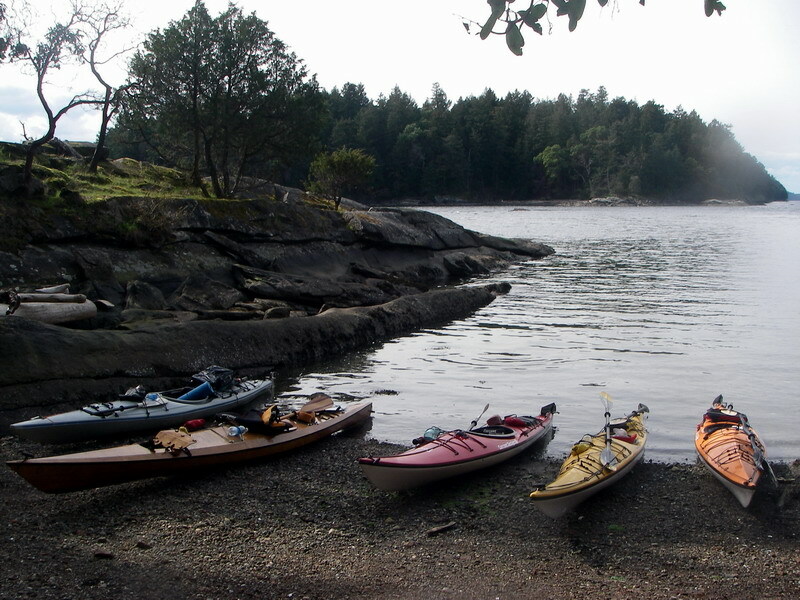 Kayaks at Chivers Point, Wallace Island. 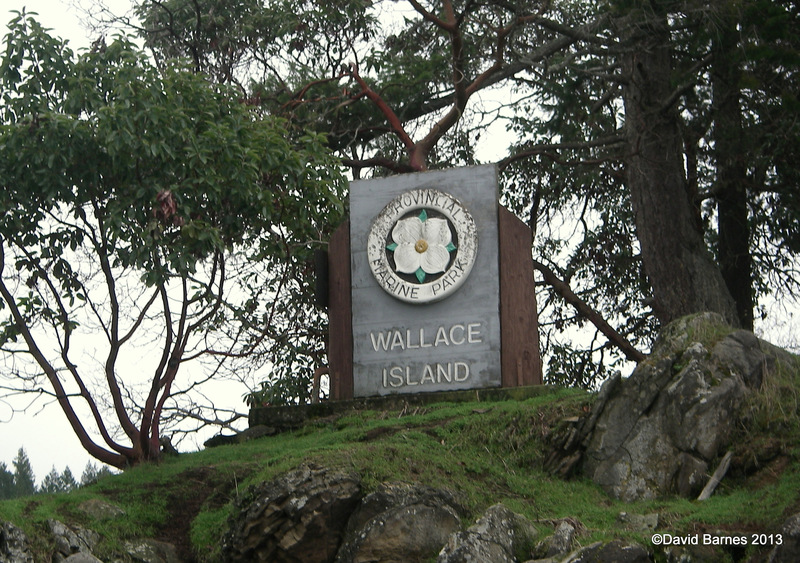 Wallace Island is picturesque with a multitude of small coves and bays. Arbutus trees over-hang the featured rocky shore of the side facing Salt Spring. It takes a little over an hour for me to round the entire island. 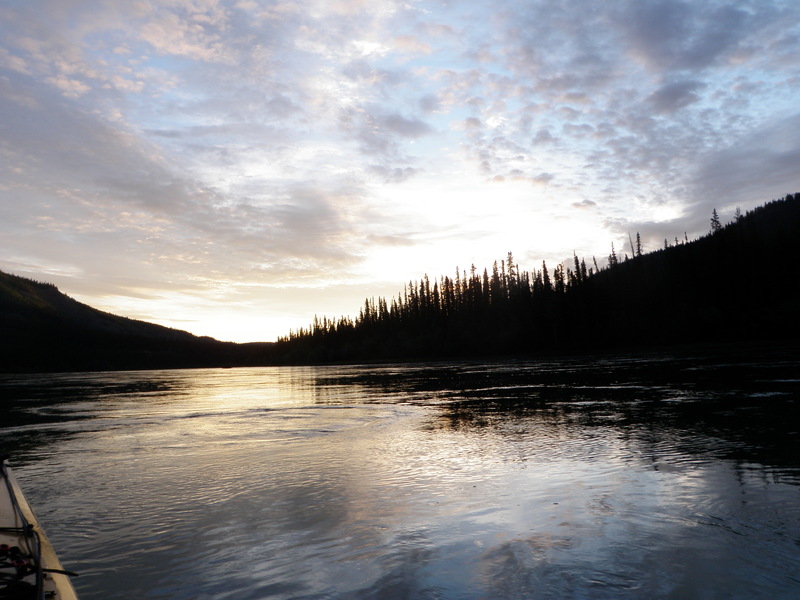 From your kayak you will be able to see seals and eagles, ravens swooping overhead and a mink or two. On the backside of the island facing Galiano Island you may get a peek at a small colony of river otters as they fish and play in the kelp and shallows. I have noticed that no one ever mentions the raccoons in any of the tourist info about the islands. Wallace has raccoons and they will try to get into your belongings especially your food, so be mindful and tuck it away in closed kayak hatches or better yet, hang it in a tree. Camping is available at Chivers Point accessed by a small pebble beach that can disappear entirely at higher tides. Make sure you secure your kayaks. It is not wilderness camping at all. Tent pads, both pea-gravel and raised wooden platforms are provided. Each has a picnic table and a short walk up the trail will take you to an outhouse. 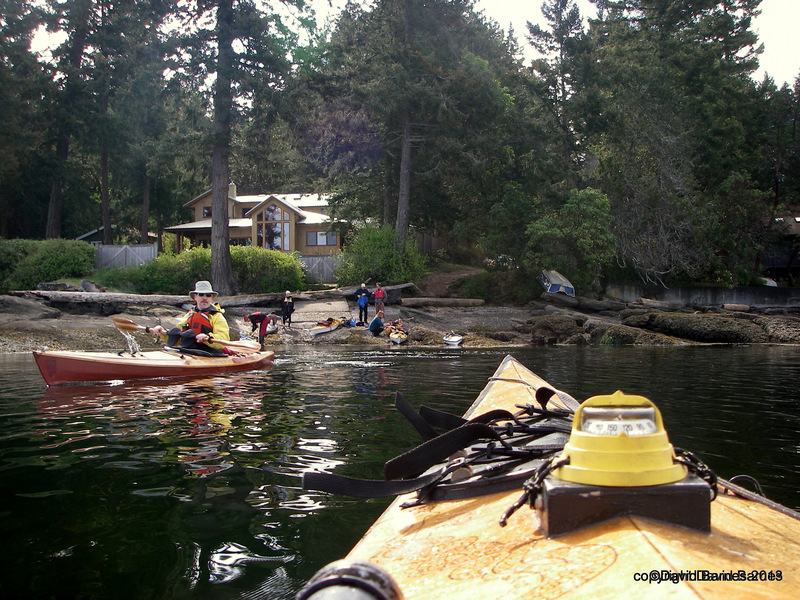 On the Salt Spring side you will paddle by Conover Cove if coming from Hudson Pt. where you will find anchorages and a dock. The remains of the old resort (http://www.dconover.com/default.htm) still stand and you may wish to pitch a tent on the grass. Landing at Cabin Bay for a night of camping. However, a favorite spot for my wife and I paddled to is Cabin Bay. Facing the cliffs of Galiano Island this campsite is limited to two pads that are nearly overlapping. Good for a close-knit paddling group. This site loses its light earlier in the evening than at Chivers Pt. but is secluded and quiet. A steep hike up to the main trail will take you to an outhouse near-by and the bay is accessed by a small cove. While on the island it is worth the time to hike the trail that runs the entire length of Wallace. The terrain is easy to moderate and well-marked and takes you past the remains of orchards and the resort with plenty of spots to sit and contemplate nature. A short paddle from Salt Spring Island, Wallace Island provides a unique getaway to the recreational kayaker as a terrific day paddle excursion or for the camper plenty of sight-seeing both on foot and from the kayak. 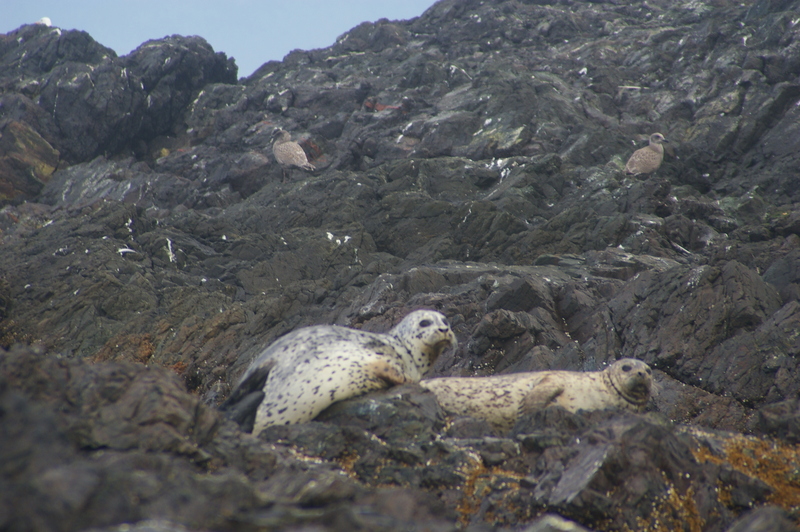 Don’t forget to explore the nearby Secretary Islands and keep and eye peeled for those playful seals. 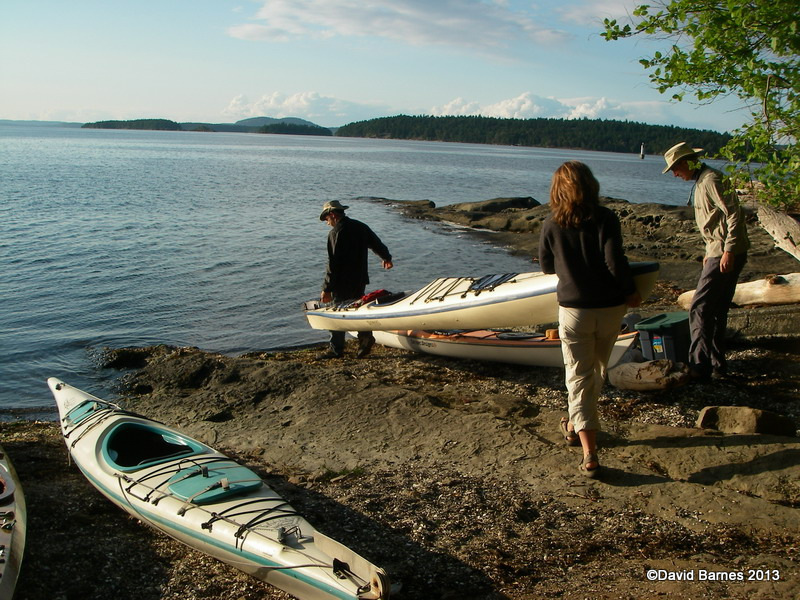 Salt Spring Island is the largest of the Southern Gulf Islands and your most likely place to begin a tour by kayak of the surrounding areas. I am often asked by boaters as to where the available boat launches are located around the island. I suppose the pair of kayaks on my roof rack are a sign that I might be in the know, and they made the right assumptions. For them, the issue is boats and boat trailers and the scarcity of public boat ramps available on the island. As I write this post I am scanning the shore line of my home island in my mind’s eye and can only come up with four. Those being Hudson Point, which I will talk about later, the ramp behind Moby’s Pub at the end of Ganges Harbour (pay use at wharf office), a small ramp adjacent to Centennial Park in town (pay use at the Harbour Master’s Office), and a small ramp only useable at high tide in Drummond Park at the end of Fulford Harbour. Our group launching for an early Spring paddle day at Southey Point, Salt Spring Island. 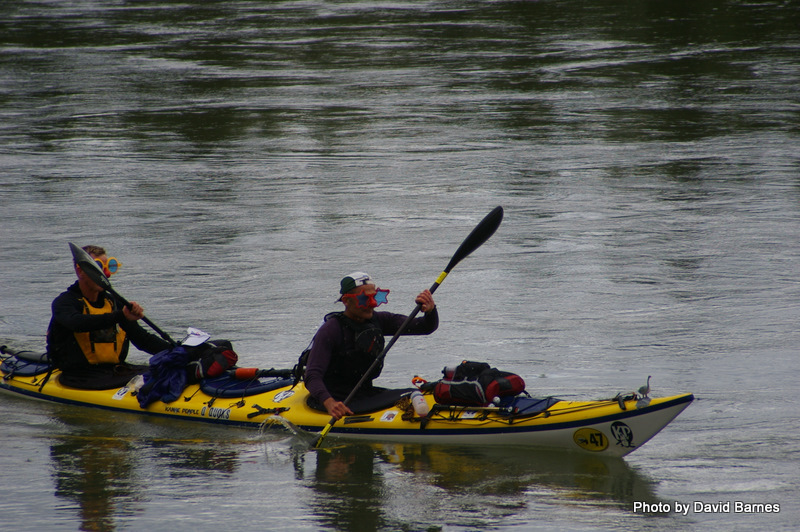 For kayakers the opportunities are much more plentiful, and with a bit of exploration will get you to many water access points suitable for the needs of a paddler. Here are some of the better places to put in for a day trip or a longer excursion leaving from Salt Spring.Starting at the north end of the island where driving north gets you to a place called, Southey Point. Driving northward from Ganges to the four-way stop where you have the choice of two paths. I would take the most direct route, going straight through and following North End Road until arriving at an intersection with a large rolling pasture to your left and Southey Pt. Road upward to your right. Take it, and go up and then down turning left onto Arbutus Rd. Travel slowly to the end and you will find that the road dead-ends at the water. Parking is at a privilege and be mindful of those that live on the point keeping their driveways clear. The beach is a small wedge of stones in between ridges of sandstone that is eroded and well-featured. From this launch most of the northern islands are within reach in a few hours for terrific camping opportunities, starting with Wallace to the East and the Secretary Islands, then further northward is Valdes and its amazing Blackberry Point as well as Decourcey and others. Heading southward along the east side of Salt Spring Island you will find Fernwood Dock. There is a nice cafe there to get a cup of coffee and relax before or after a paddle, and you can grab dinner next door at the Raven Street Market Cafe with its wood-fired pizza. The dock is too long to be an easy launch with kayaks and gear, but just north of the dock about a kilometer is Hudson Point. This is a nice access for both sports fishers and paddlers. I use this one for a quick couple hours paddle around Wallace Island. Great for a camping trip to the island as well. The ramp is steep but at mid and low tides the beach is spacious enough to allow for easy loading and unloading of your stuff. Keep in mind, this is a well-used boat ramp. There is some parking available on either side of the ramp area. Waiting for our turn to paddle out at Hudson Point, Salt Spring Island. Coming back to the village of Ganges there is not a lot in the way of water access. However, there is a rough access across the creek outflow adjacent to Island Escapades (local kayak shop) on the Gasoline Alley side. There you can launch for an afternoon of exploring the Chain Islands in the harbour or even further to camp at Prevost Island. Parking is available here, as well as encounters with local characters. The south end of the island offers many small islands and ample day trips with overnight camping possibilities as well. 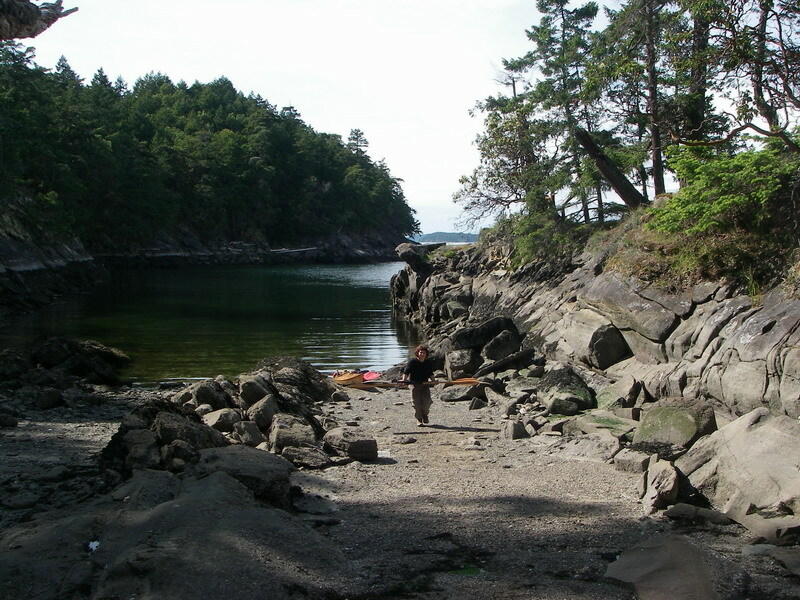 To visit these islands or to explore the featured shores of Ruckle Provincial Park there are a couple of places to put in. The village of Fulford is bustling and tight for space. Using the Government wharf here is tricky so I go across to the other side of Fulford Harbour to Isabella Point Road. Do not be fooled into using the boat access at Drummond Park as at low tides the area becomes a formidable mud flat. Only consider this if you are planning to leave and return at high tides. Instead, follow the road a short distance until you come to a low stretch at the water’s edge. It should become obvious to the passer-by as a place to launch a kayak. There is a dirt slope that the braver fishers use to lower boats on trailers, however logs often wash ashore blocking the slope. Not a problem for the paddler. At high tide this is a great spot to leave from, and at lower tides you will have to navigate over some mud and oysters. From this beach you can be exploring the trails on Portland Island in less than two hours on the water. Keep an eye on ferry traffic while crossing and check the schedule prior to heading out if the southern islands are on your agenda. Otherwise, the wake from the ferries is nominal. 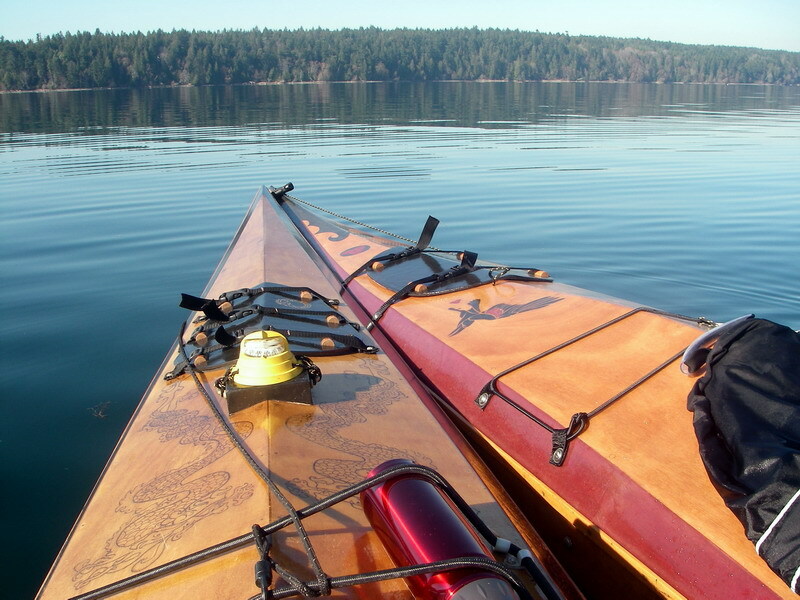 Paddling from Salt Spring Island will take you to world-class kayaking areas of the Southern Gulf Islands. Scenic shores, encounters with seals, eagles, ravens, porpoises and if you are as fortunate as I, perhaps even a visit from a whale. Whether planning a week of camping, or just island hopping day paddles these are just some of the best spots to put your kayak in with ease.